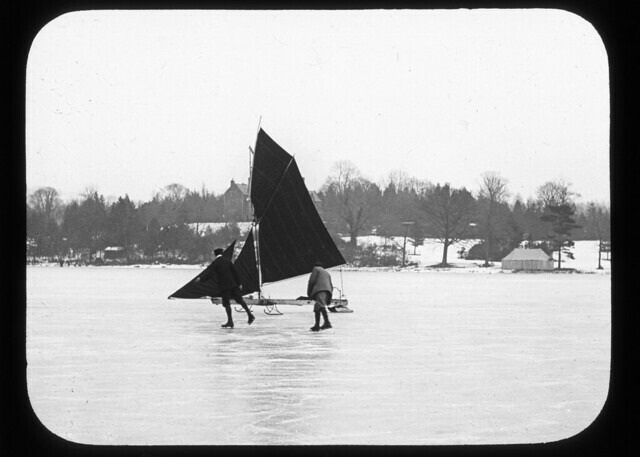 Ice yacht and skaters on a frozen Lake Windermere, Cumbria, England during the Great Frost of 1895. My poem imagines a young Arthur Ransome, who was a schoolboy at the Old College in Bowness at the time, skating and taking in the action and scenery which would later inspire him to write one of the much loved Swallows and Amazons children’s books. ‘Winter Holiday’ was the 4th book in the famous series and was published in 1933. Around the years of the Great Frost of 1895, Norwegian polar explorer Fridtjof Nansen made an attempt to reach the North Pole using the natural drift of the ice. 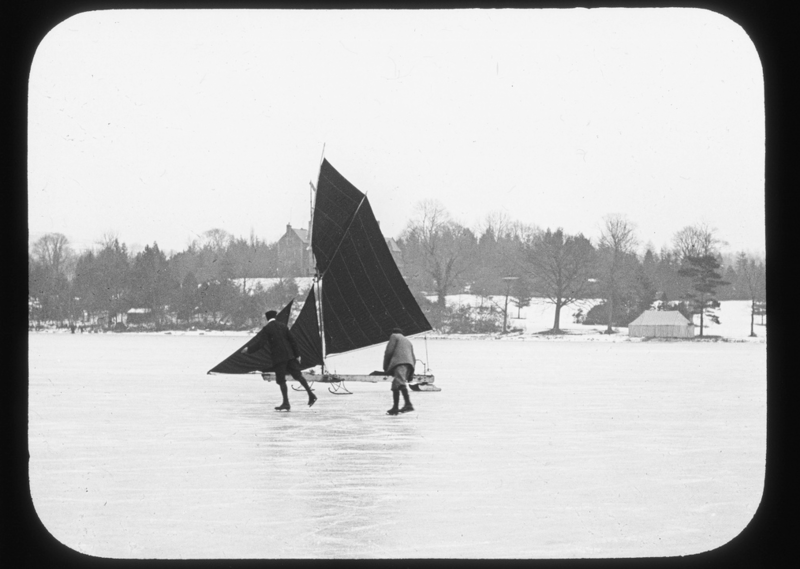 When his purpose built ship The Fram became stuck in the ice he continued on by sailing sledge and skis. However, the southerly drift and shortage of food meant the trip had to be abandoned on 7 April 1895 and after observing that the way ahead was “a veritable chaos of iceblocks stretching as far as the horizon”. The ‘Swallow’ children were in part based on the real life children of Ransome’s friends Dora (Collingwood) and Ernest Altounyan who in 1919 had moved to Aleppo in Syria where Ernest’s father had established an innovative hospital in the 1890’s. The children frequently visited the Lakes to see their English grandparents in Coniston and it was in 1928 that they met Arthur Ransome. Before returning to the Middle East the children gifted Ransome a pair of red Turkish slippers as a keepsake. what do you see in your landscape? the underwater rivers carrying off the dead? the underwater rivers carrying the dead?